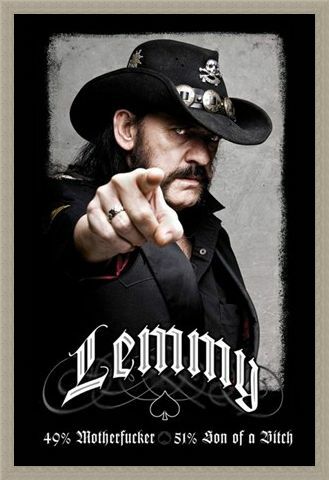 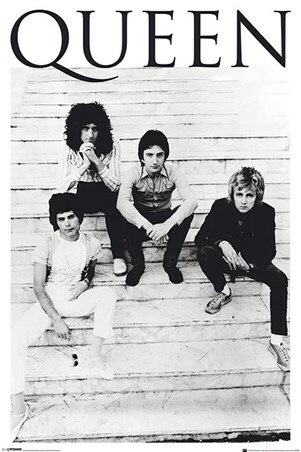 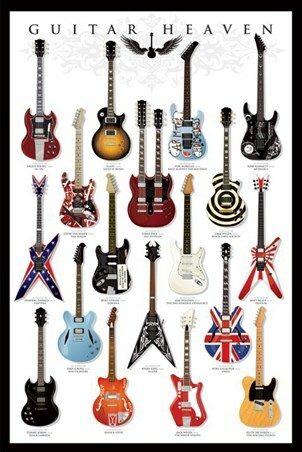 Music Star Poster: Better known as Lemmy, Ian Fraser Kilmister was born on Christmas Eve 1945, and grew up to become the founding member of highly successful band Motorhead in 1975 and is one of the most recognisable cult symbols of the rock industry to this day. 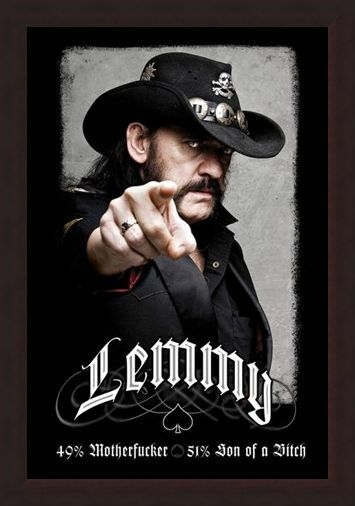 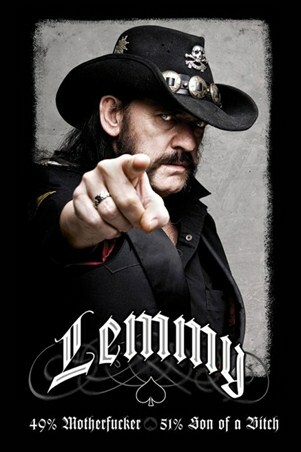 This superb poster is perfect for any Lemmy fan, featuring a photograph of the musician pointing directly at the camera, complete with the bold caption, '49% Motherf**ker, 51% Son of a B***h'! High quality, framed The founding father of Motorhead, Lemmy poster with a bespoke frame by our custom framing service.